A company’s excellence will never be found in its technical success alone. If it is to nurture success beyond success, it must also continually strive to integrate emotional intelligence with integrity and unconditional responsibility. between colleagues. Working well together means focusing on how the Team talks, relates to, and commits to one another and to the Company’s Vision. A company’s success will never be found in its technical success alone. If it is to nurture success beyond success, it must also continually strive to integrate emotional intelligence with integrity and unconditional responsibility. Consciousness is about awareness, it is about what shows up on the radar monitoring your moment-to-moment experience. Cultivating the growth of consciousness is a key element of vertical learning. 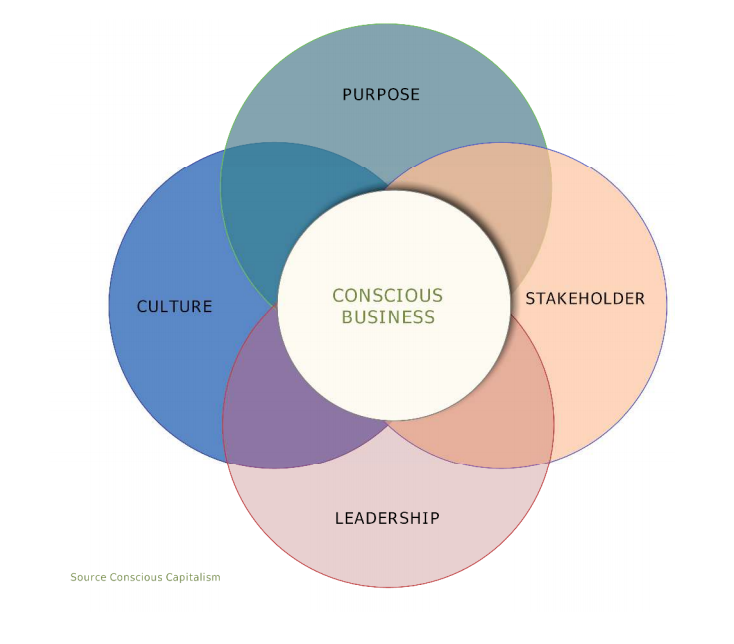 Cultivating a conscious business is about cultivating awareness on every level within the organization from the individual to the teams to the upper management and the company’s vision and mission. It is about creating and nurturing a culture of consciousness. A shared and sense of community. When supporting a company’s organizational transformation, we utilize an integral approach, a holistic change model that embraces and coordinates the evolution of the personal ‘I’, the interpersonal – culture ‘WE’, and the impersonal ‘IT’. As we engage in horizontal and vertical learning, we realize an increase in our mental, emotional, physical, and spiritual health. Horizontal learning is about developing competencies such as communication and active listening skills, responding effectively and constructively to conflict, or increasing technical expertise. The main focus of horizontal learning is the functional development of knowledge, skills, and behaviors that strengthen your key competencies. Horizontal learning focuses on what you know. It represents the knowledge and skills you acquire while operating at a specific stage of growth and development, your own particular level of cognitive, emotional, and relational complexity. Vertical learning is about the transformation of how you think, feel, and make sense of the world; it is about increasing the complexity of how you see and relate to the world and to what you know. It includes the development of both mental complexity and emotional intelligence. While occurring naturally, vertical learning can also be accelerated by 3 to 5 times under the right sort of learning environment—one that combines optimally balanced challenge and support. How you know something is often more important than what you know! Nearly all organizational development is based on a horizontal learning approach. Only a few organizations use an organizational development process that acknowledges the power of vertical learning. Vertical learning models were developed by Dr. Robert Kegan, Harvard University, and Dr. William Torbert, Boston College. An illustration of vertical learning can be seen in your increased capacity for pattern recognition across several different data streams to identify a pattern or system that may be an emerging trend, a problem, or an opportunity. Vertical learning is about increasing the complexity of your pattern recognition capacity. This kind of pattern recognition cannot be learned from reading a book. It evolves from deeply engaging with increasingly complex material and situations.